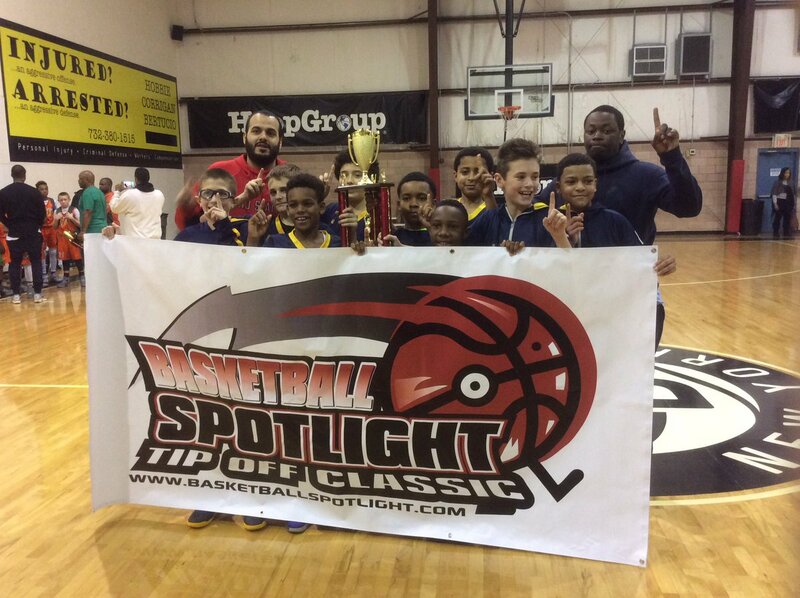 The Basketball Spotlight 6th Grade Top 10 Team Rankings are listed below. These rankings are based on tournament play and strength of schedule. 1. 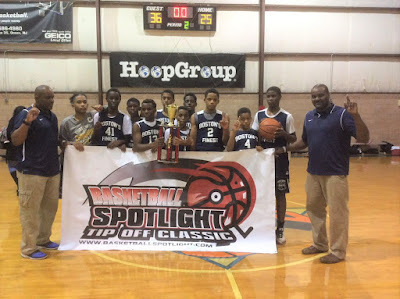 Team IZOD: Sports University did their job at the Tip Off Classic while coming home with the crown. They have some experienced guards that know how to win games. We will see them again the Clash For The Cup. 2. Team Thrill (Black): This loaded squad made easy work during the AGame Super Shootout while cruising to the championship. We know we will be seeing this exciting squad very soon. 3. Courtmasters Elite: CE made it to the finals of the Tip Off Classic after capturing the AGame Super Shootout 12U title. We will looking for them to make a late entry into the Clash. 4. Riverside Hawks: This squad has some of the top talent in the region. They will be making their Spotlight debut at the Clash. 5. Gauchos: The Choz made a final four run at the Tip Off Classic. I like the energy and style of play. They bring the heat and will be returning to the Spotlight very soon. 6. Team Takeover (Black): TTO had a good showing at the Clash For The Cup after winning the AGame Super Shootout. They have some real good pieces and we will see them back very soon. 7. Philly Triple Threat: PTT showed they were truly legit with a final four run at the Tip Off Classic. They are capable of making a championship run at any time. 8. New Heights: We haven’t seen this squad as of yet but we heard they carrying a serious roster. We will get our first look at them during the Clash For The Cup. 9. Milbank: “The Bank” made some noise at the Tip Off Classic and should be back to finish the job during the Clash For The Cup. 10. Elmcor Basketball: This new program made a statement at the Tip Off Classic while showing up in the quarterfinals. They have a very tough bunch. The Basketball Spotlight 8th Grade Top 10 Team Rankings are listed below. These rankings are based on tournament play and strength of schedule. 1. Team Takeover (Black): TTO won AGame Super Shootout and Team Thrill tournament. They will be making their debut at the Clash For The Cup in January. 2. New World Unlimited: NWU came to the Basketball Spotlight Tip Off Classic and defeated some of the top teams in the region while taking home the crown. They play great defense and know how to win big games. 3. 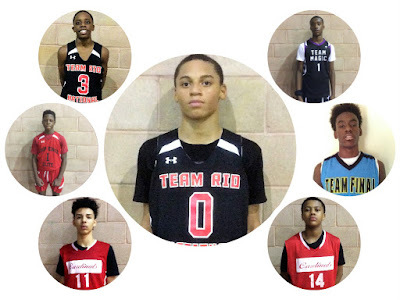 Team RIO National: The stacked RIO squad came to the Tip Off Classic and made it to the finals. They will have a chance to grab the banner at the Clash For The Cup. 4. 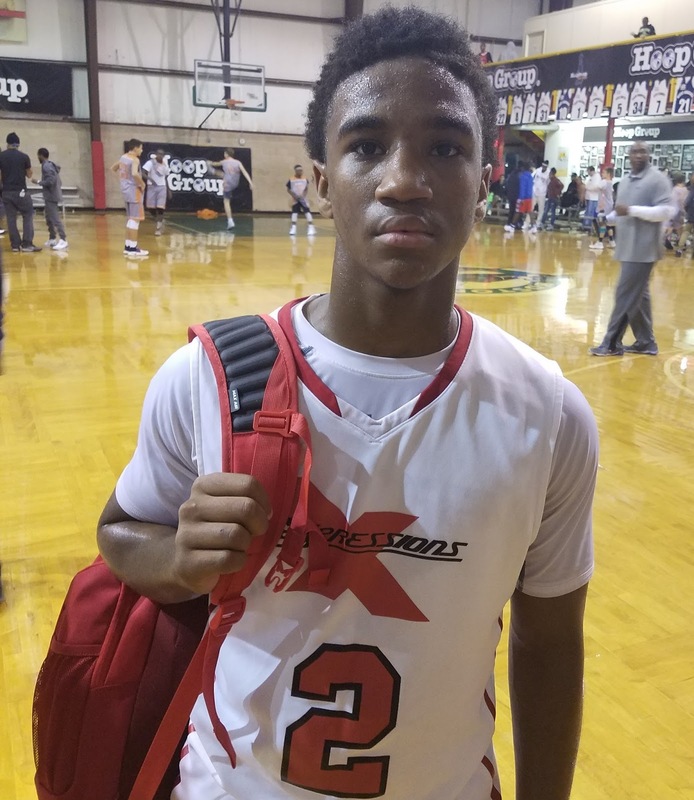 Expressions Elite: The Boston Boys came to the Tip Off Classic and showed off a little. They have some serious talent and made a semi-final run before losing to Team RIO National. 5. 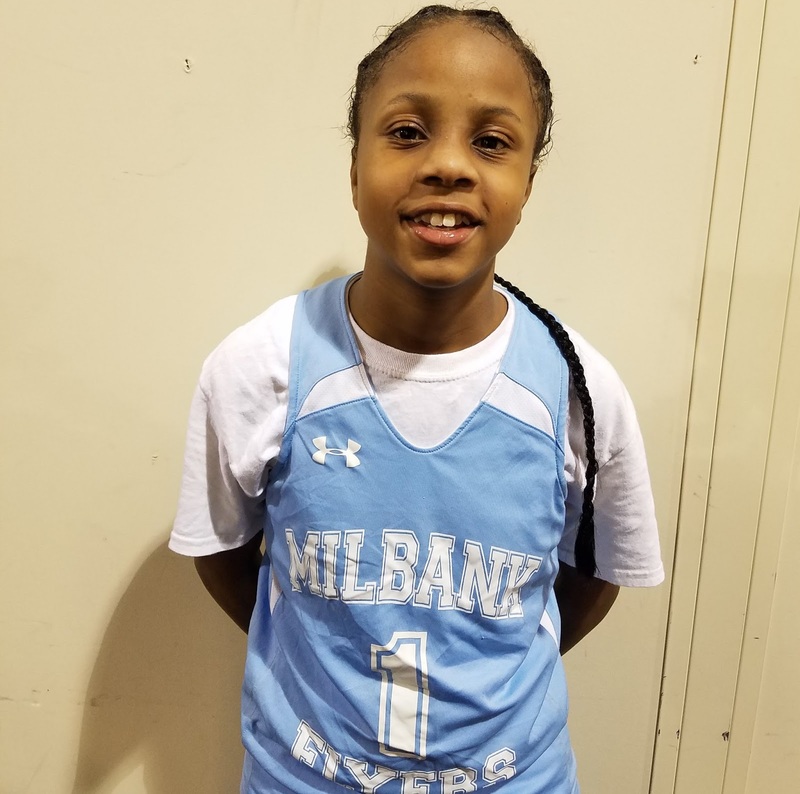 Milbank: “The Bank” made a final four run at the Tip Off Classic. This scrappy group is not to be slept on. They are scheduled for the Clash. 6. PSA Cardinals: This talented group did well at the Tip Off Classic but caught a tough draw in the quarterfinals against eventual champion New World. They will be looking to redeem themselves at the Clash For The Cup. 7. Team Final (Blue): TF has some decent pieces while making a quarterfinal run at the Tip Off Classic. They are capable of knocking off anybody at any time. 8. Playaz: The Playaz showed their worth by making it to the quarterfinals of the Tip Off Classic. Most likely that will be at the Clash For The Cup. 9. We R 1 Bulldogs: The Bulldogs showed some grit while making it to the Tip Off Classic quarterfinals. They have a few players that attract attention. 10. 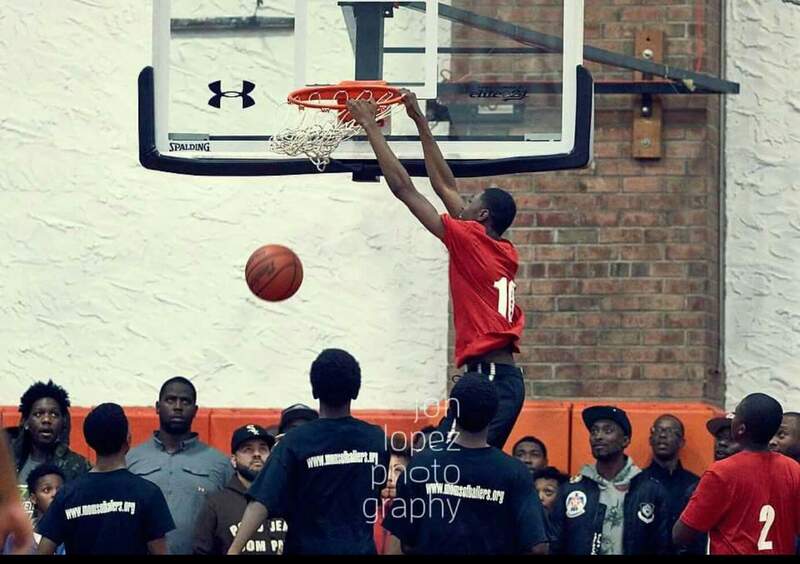 New Heights: NH made a decent look at the AGame Super Shootout. They fell short at the Tip Off Classic but will have a chance to ball out at the Clash For The Cup. 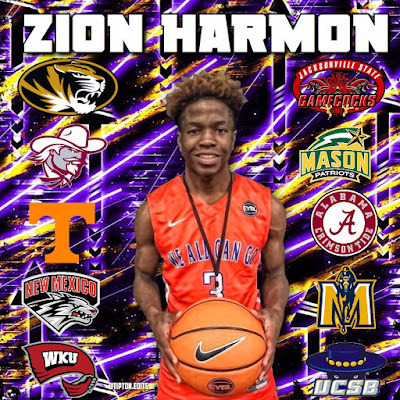 Zion "The Lion" Harmon Getting College Offers Already! 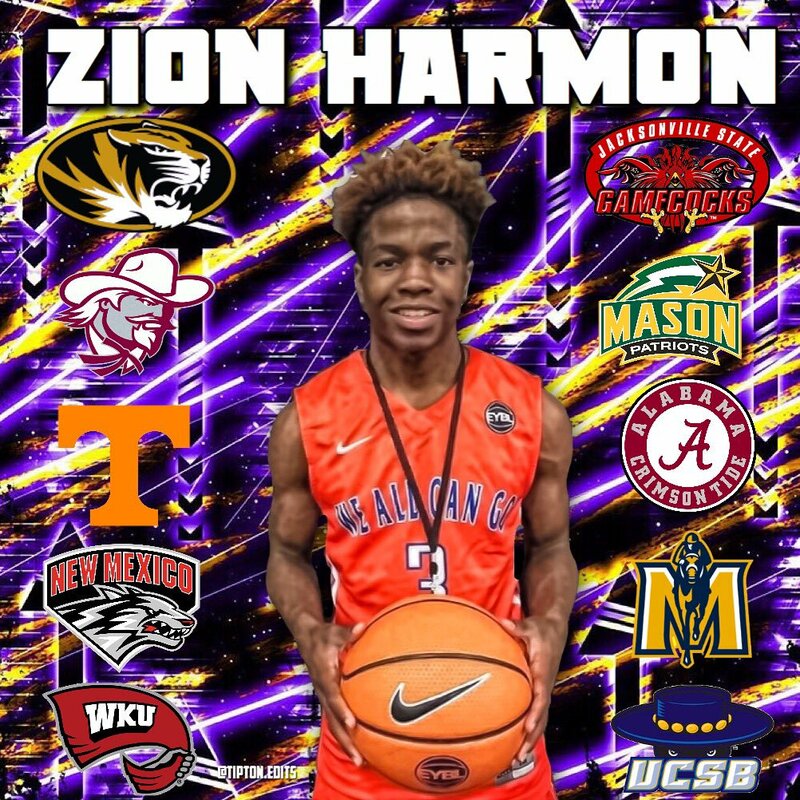 Zion “The Lion" Harmon went to Kentucky last season to play against varsity basketball competition. Since arriving he has taken the state by storm and recently received a few Division 1 offers. He attends Bowling Green High School and currently plays for We All Can Go All Stars. 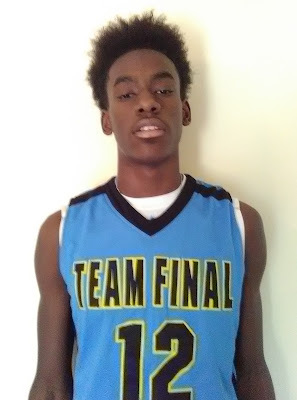 He latest college offer came from Stephen F. Austin. Many consider Harmon as the #1 8th Grader in America. Check out his recent appearance on the local news. Basketball Spotlight Clash For The Cup Getting Early Interest! The Basketball Spotlight Clash For The Cup is getting major early attention. Some of the top teams in the country will be in attendance. Please register early because SPACES ARE LIMITED AND A SELL OUT IS IMMINENT. 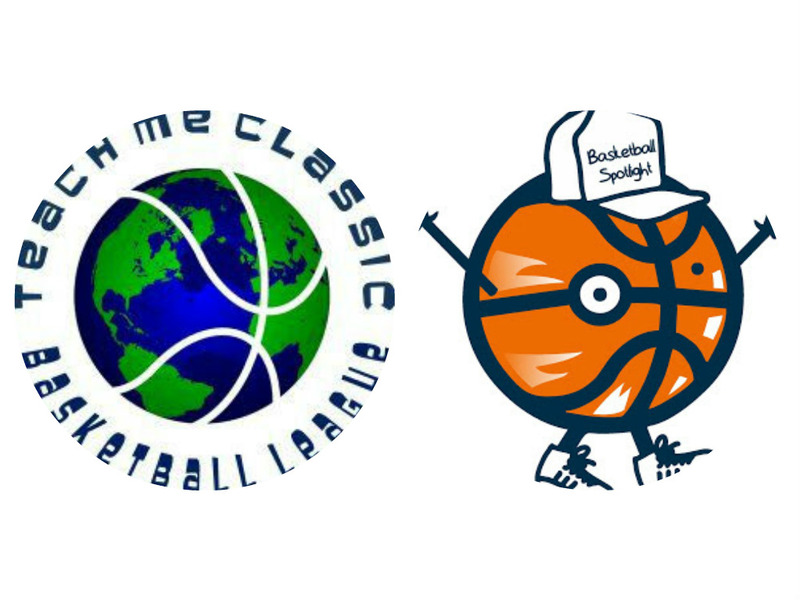 Basketball Spotlight Tip Off Classic Mixtape Is Fire! 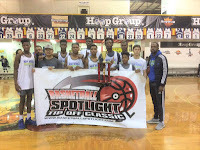 Basketball Spotlight Tip Off Classic Mixtape Feat: Trey Patterson, Bray Freeman, Zion Cruz, Elijah Hawkins, Terrence Clarke, Shane Dezonie, Dariq Whitehead, Antonio Sellers, Jayden Reid, Jayden Pierre, Julilus Ellerbe, Noah Harris, Lorenzo Washington, Matthew Constant and Mason Piorkowski. Basketball Spotlight will continue in our pursuit to give the best coverage for the youngsters in the basketball world. 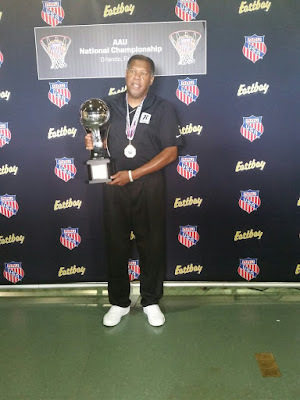 The Basketball Spotlight Tip Off Classic was a great kick off for the AAU season. We learned a few things down in Neptune. 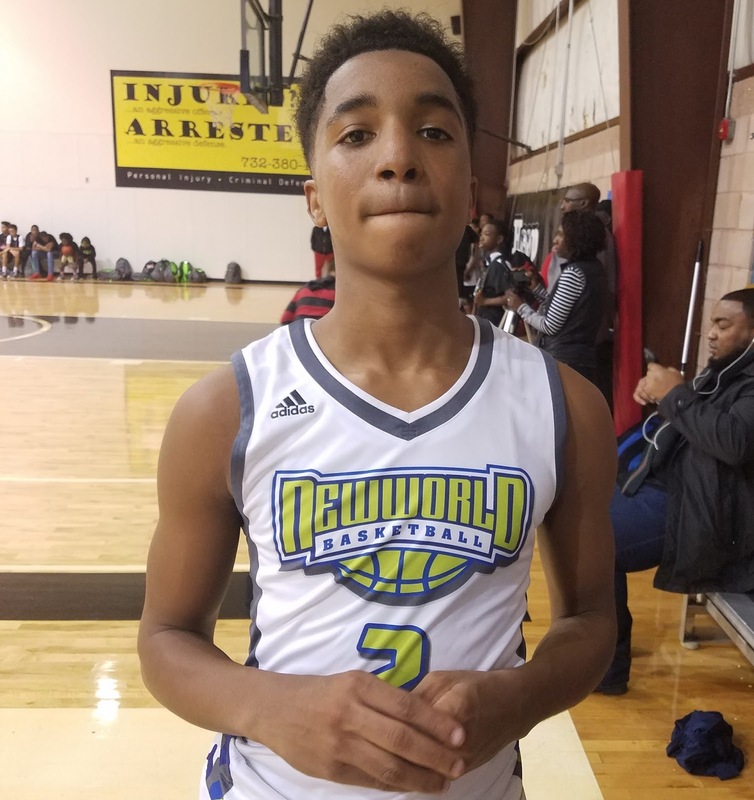 New World Unlimited came to the Tip Off Classic and proved to be one of the best teams in the country. They have the pieces to be knock anybody at any given time as one of the best defensive teams we’ve seen in years. They beat some of the top teams at the Tip Off Classic including Team Final, NY Rens, PSA Cardinals and Team RIO National. 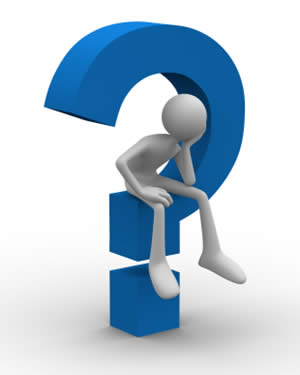 Are they the best team in the country? We will see soon. Trey Patterson Holds Down The Spot! Trey Patterson had a target on his back at the Tip Off Classic but he stepped up when the time was right. He brought his game in the quarterfinals and semifinals on the main stage at Hoop Group Headquarters. He stood tall when the competition and left his event as still the #1 kid in the country. I was really impressed with the poise he showed. 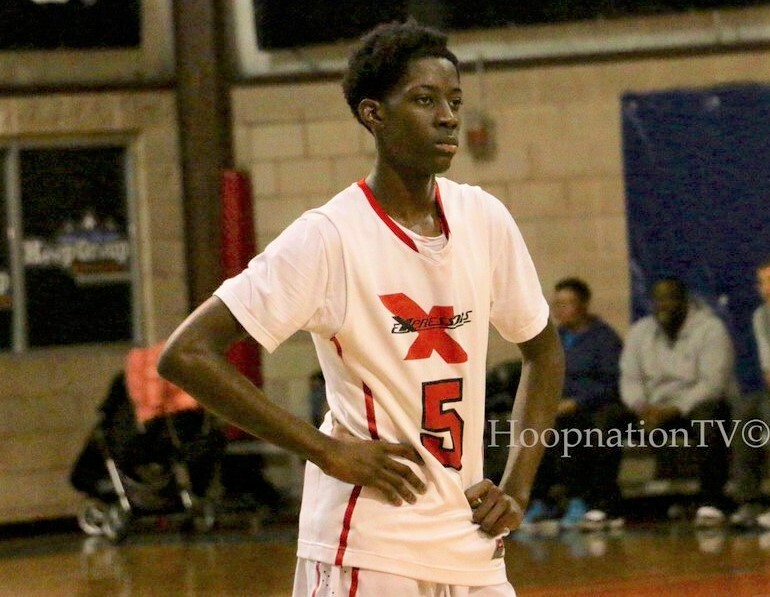 Terrence Clarke Headed For Stardom! 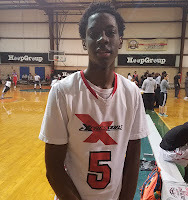 One of the big names of the Tip Off Classic weekend was Terrence Clarke. Clarke reclassified into the Class of 2021 and made the opposition pay. He’s standing 6’6 with a handle while scoring the rock from all three levels. I also like the way he showed explosiveness in the open court. He name has been launched into national prominence. 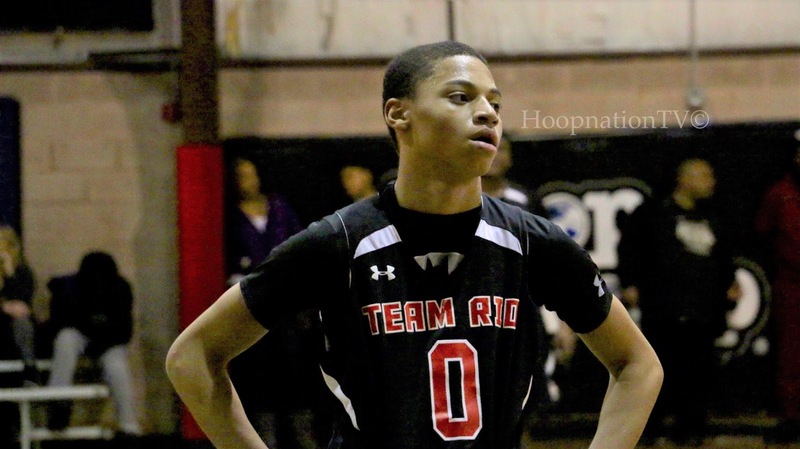 Stock Risers: Zion Cruz and Dariq Whitehead! 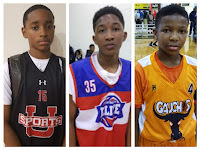 The 7th Grade division had two players that will definitely rise in our rankings. 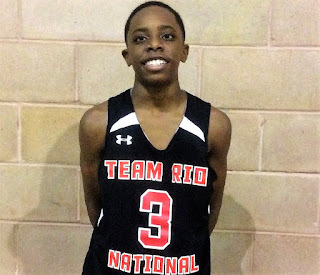 Zion Cruz showed immediate impact with Team RIO National while dominating the scoring column while leading them to the title. Dariq Whitehead looked like the best prospect in the building with more room to grow. This North Jersey product will be a trending name for a couple of years before the high school coaches battle it out for his services. The Tip Off Classic 6th Grade Division was spark plugged with a trio of players. Sebastian Robinson continued to look like one of the most polished guards in the country. Jakari Tertulien exited the event as one of the upcoming promising prospects in the region if not the country. Finally, Jayden Reid let us know that the NY City type point guard is alive and well as he dazzled the crowd while making plays. 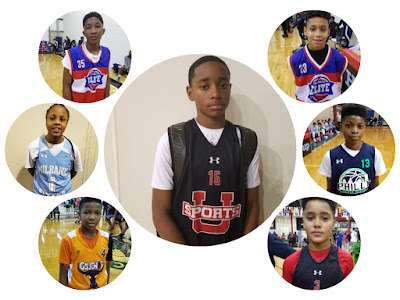 The Basketball Spotlight Tip Off Classic 7th Grade brought some of the top talent in the country. Here’s a look at the Best Of The Best and All Tournament Team. 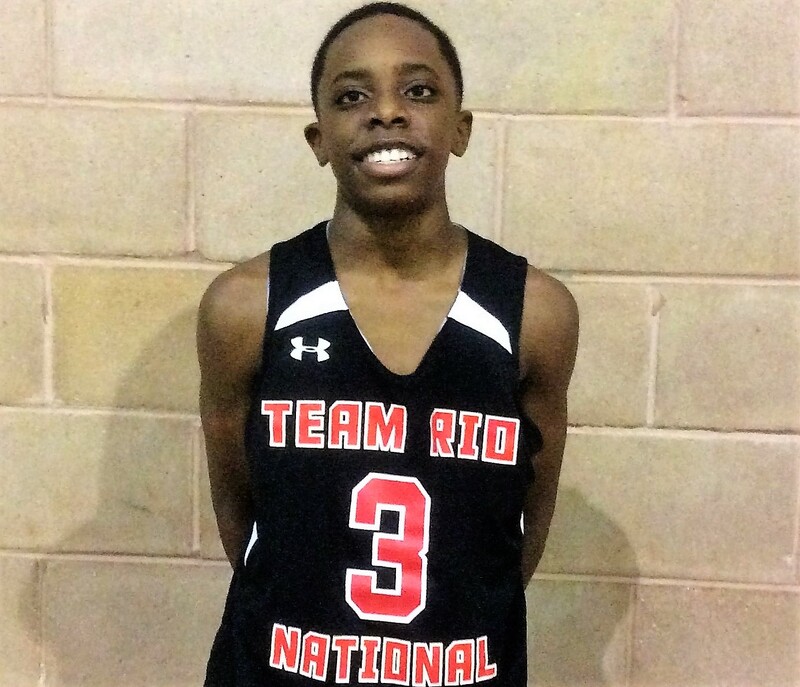 Best Performer: Zion Cruz (Team Rio National)-Cruz grew a few inches and punished the opposition with his size. He scored at ease at times in transition while also being able to dominate the game when necessary. He’s making his mark on the Spotlight circuit as a player to be reckoned with. Its Drissa Traore back again for diary entry number two. I hope everyone is doing well. My week was calm. After playing 3 straight weekends my coaches told me I should rest my body and concentrate on my school work and finishing the semester as best I can. The Basketball Spotlight Tip Off Classic 8th Grade brought some of the top talent in the country. Here’s a look at the Best Of The Best and All Tournament Team. 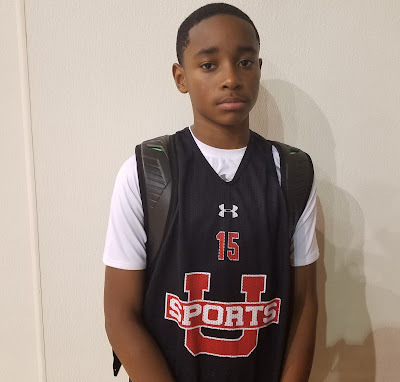 Basketball Spotlight Tip Off Classic 8th Grade Best Of The Best The Basketball Spotlight Tip Off Classic 8th Grade Division was loaded with talent. Here’s a look at the tournaments Best Of The Best and All-Tournament Team. Tip Off Classic Mixtapes: Jayden Reid Dazzles The Crowd At Tip Off Classic! 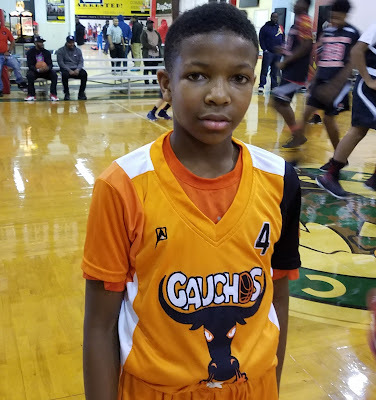 6th grade Jayden Reid of The NY Gauchos showed off his elite guard play at Tip Off Classic 2016 and even led his team to a semi-final game in the tournament. 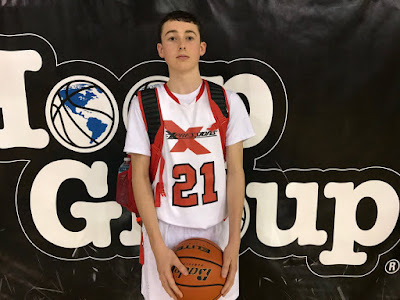 For such a small guard Reid is super aggressive and is able to make that last second decision pass to find is teammate open while penetrating, something most young guards are having a hard time learning now days. Reid even plays up with the 2021 class, where he proves he has game beyond his years! Basketball Spotlight Exclusive Interview: Through The Kat Eyes! 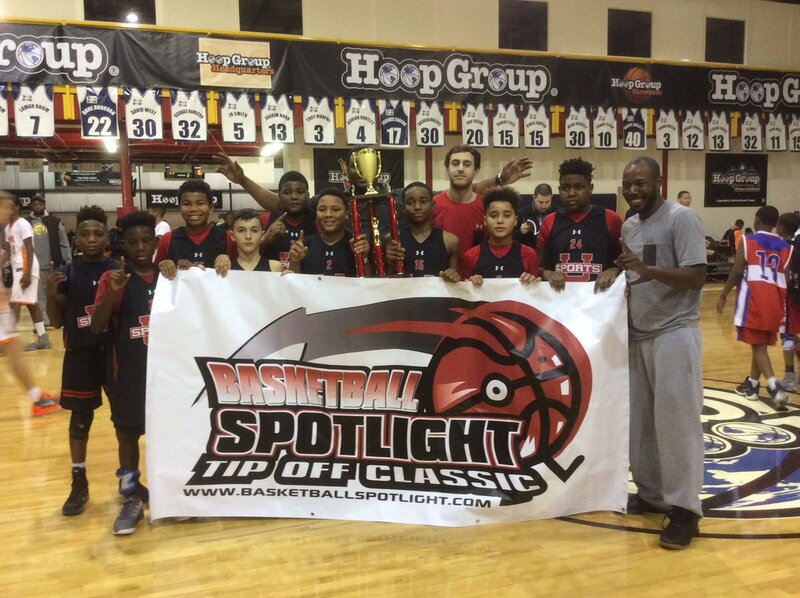 Since Basketball Spotlight’s inception many top programs have been a part of our circuit. Those programs included several top players and coaches. One of those coaches is Kat Keyes. Keyes has coached several for several top programs including the NY Panthers and currently the NY Rens. His expertise in the field has expanded over decades. Basketball Spotlight sat down with the NY Legend and here’s what he had to say. 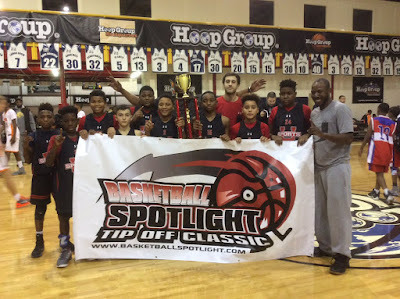 The Basketball Spotlight Tip Off Classic 6th Grade Division gave us a look into the future. Here’s Part 2 of our Top Performers from our weekend in Neptune. 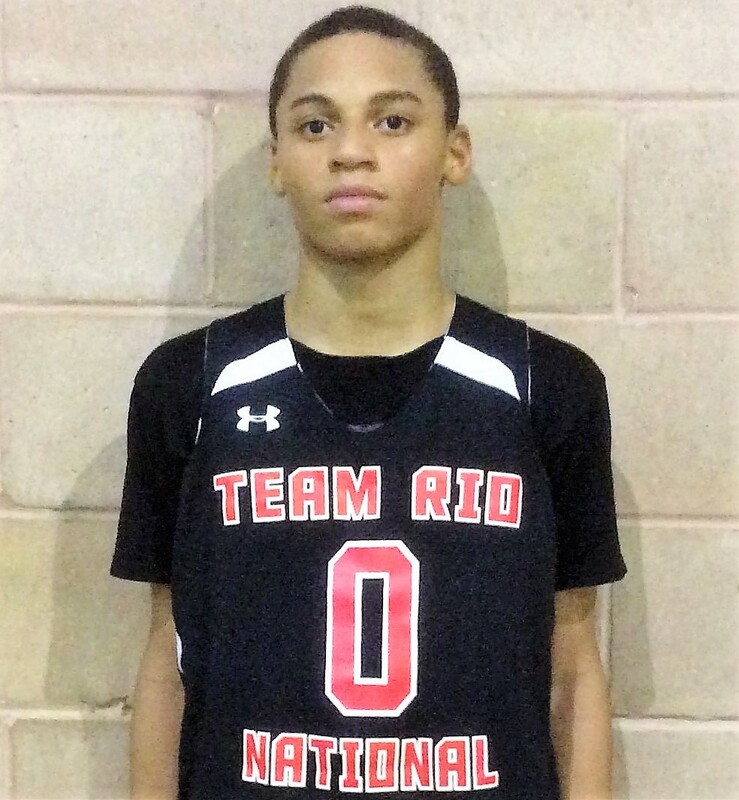 Jayden Reid Guard (NY Gauchos) – Reid is a smaller PG but he has that NY flair to his game. He has the ball in his hands most of the time as he can either score the rock or be a facilitator for his teammates. He has a very good handle that allows him to get anywhere on the floor where he can either get his shot off or drop a nice pass for an assist. It seems that if Jayden had it going then the Gauchos where is good shape. He had 14 points against IZOD and 18 points against Elmcor. Tip Off Classic Mixtapes: Ellerbe Elevates His Game! 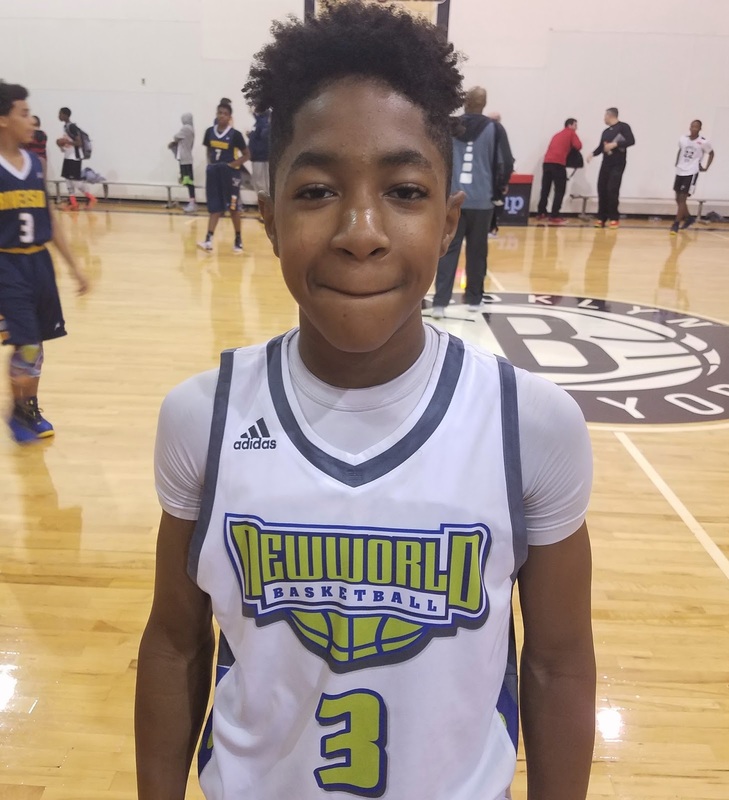 Julius Ellerbre of New World AAU Class Of 2021 seems to be one of the most underrated prospects in the region and showed massive potential over the weekend of The 2016 Tip Off Classic Ellerbre scored close to double digits every game helping his New World Unlimited team reach the championship game on Sunday where they defeated top team in the region, Team RIO National. New World is definitely a team that you will want to keep your eyes on entering high school seeing that they can add a serious flame in the rekindling of the Adidas Basketball Circuit. The Basketball Spotlight Tip Off Classic 6th Grade Division gave us a look into the future. Here’s Part 1 of our Top Performers from our weekend in Neptune. 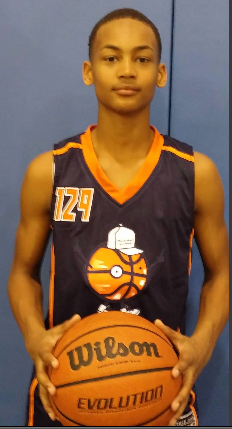 Sebastian Robinson Guard (Team IZOD) – Robinson is a big combo guard that understands his role as a bucket getter on his team. He has a very high IQ and feel for the game. He can score from all three levels but is at his best in transition or attacking the rim in the half court. One thing that Sebastian does really well at this age is moves without the ball. He has a good handle which allows him to go coast to coast after grabbing boards or drive and finish in traffic in the half court. Robinson finished with 15 points in the championship and 18 points in the semifinal. Alex is a smooth floor general. He's play the PG spot the right way. A true team leader for his young squad and a joy to watch. Bryson connects on 4 of 5 Trey's while rallying against Hoop Nation NYC to finish with a game high 17pts. This kid can light it from anywhere on the floor at any time. At times, Mark has proven to be the best player on the floor. He's hard to guard 1 on 1, he plays the passing lanes like a corner back and has developed into a scorer. We will be keeping an eye on this kid. My name is Drissa Traore and welcome to my ‘Diary of a Baller’. I’m excited about share my life with you all. I’m also surprised that I have the opportunity to do this because honestly I didn’t know I was going to be one of the biggest prospects in the country for the Class of 2021 and it really shows me that “Perfect practice creates great improvement” from coach Donald. So now tune in to diary entry number one of Drissa Traore from the PSA Cardinals. The Basketball Spotlight Tip Off Classic 7th Grade division featured some of the top players in the country. Here’s Part 1 of the Top Performers from the event. Zion Cruz Guard (Team Rio National)- Cruz will eventually become a point guard but right now he was a scoring machine for RIO. His increase in size gives him the ability to score over defenders and finish in traffic. In transition he showed off his handle and body control. He’s making a push as one of the top guards in the country. He’s definitely one of the go to guys on this squad and will be moving up in our rankings next fall. 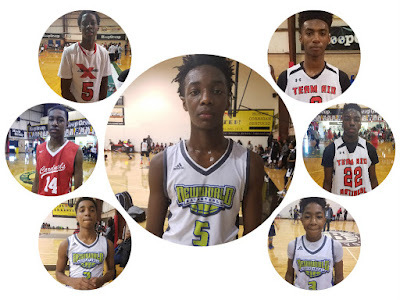 The Basketball Spotlight Tip Off Classic 8th Grade Division was loaded with national and regional talent. Here’s our Part 4 of our Top Performers at Neptune, NJ. 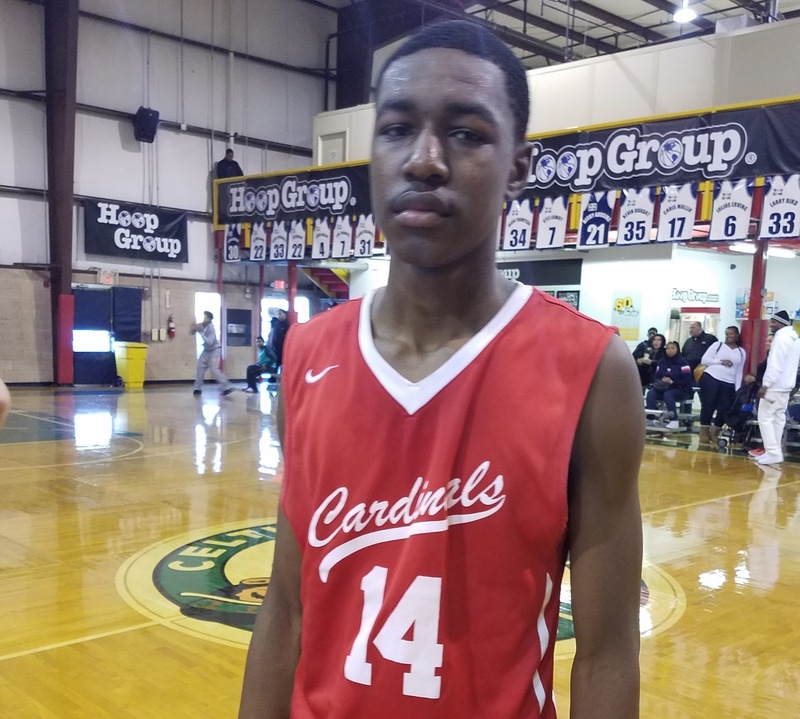 Drissa Traore Forward (PSA Cardinals) – Traore is a long combo forward that stands about 6’8. He has a high motor and good athleticism. He is all over the floor and seems to always be around the ball. 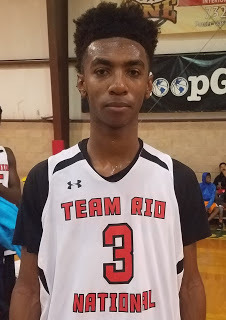 Right now he is developing on the offensive end but is really good on the defensive end as he was probably the best rebounders we saw over the weekend. We saw one play where he grabbed a miss off the glass, pushed the rock himself and made a long one handed bounce pass for an assist. Drissa finished with 15 points in the game we watched against Canada Elite. Regardless to his size, Elijah Hawkins is one of the toughest guards in his class and if you seen him play there is no questioning that. 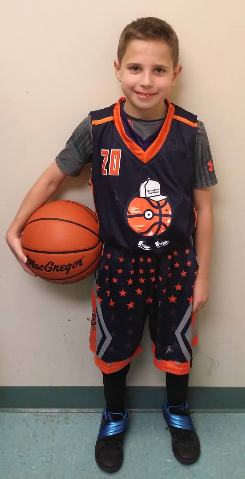 Elijah entered Basketball Spotlight Tip Off Classic in New Jersey pretty much half the size of his competition and played as if he was 7 feet. Elijah has the basketball IQ to find open spots on the floor while still maintaining the composer to knock down the shot. Most players his size fail in that aspect due to how much work it takes to actually find an open shot but this is not the case for this kid. Hawkins is lighting quick on his crossover and pretty much every other movement he makes on the court which makes it extremely hard for a defender of any size to keep up. Also, Elijah's court vision is on par with the most elite in the country which makes him a true floor general and threat to any defense you may throw at him. 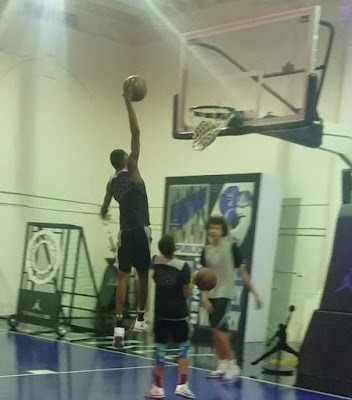 "E Boogie" is a pure example of "HEART OVER HEIGHT". The Basketball Spotlight 8th Grade Tip Off Classic had some of the top players in the country. 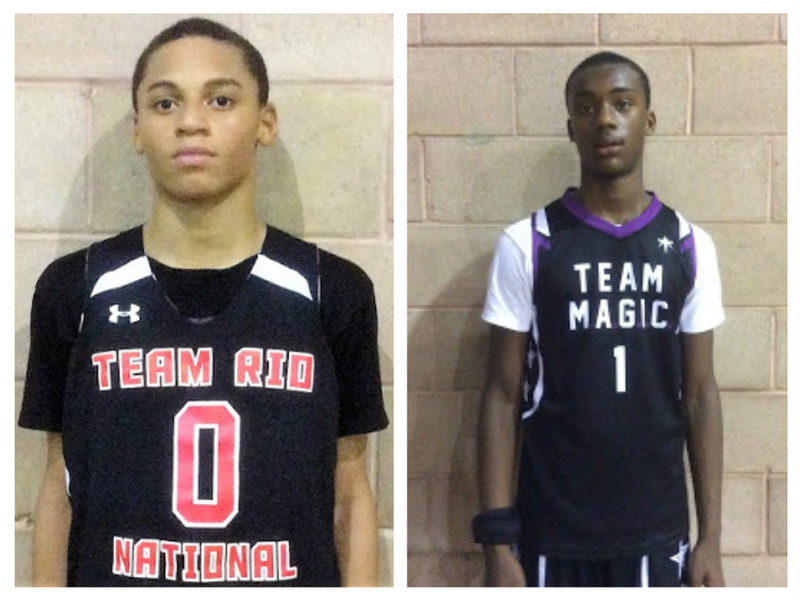 Here’s Part 2 of our Top performers from Neptune, NJ. Terrence Clarke Forward (Expressions) – When we first saw this kid last year we thought he was really good. Fast forward one year later we are talking about a wing forward standing 6’6 that looks like he might grow a few more inches with an elite level skill set. 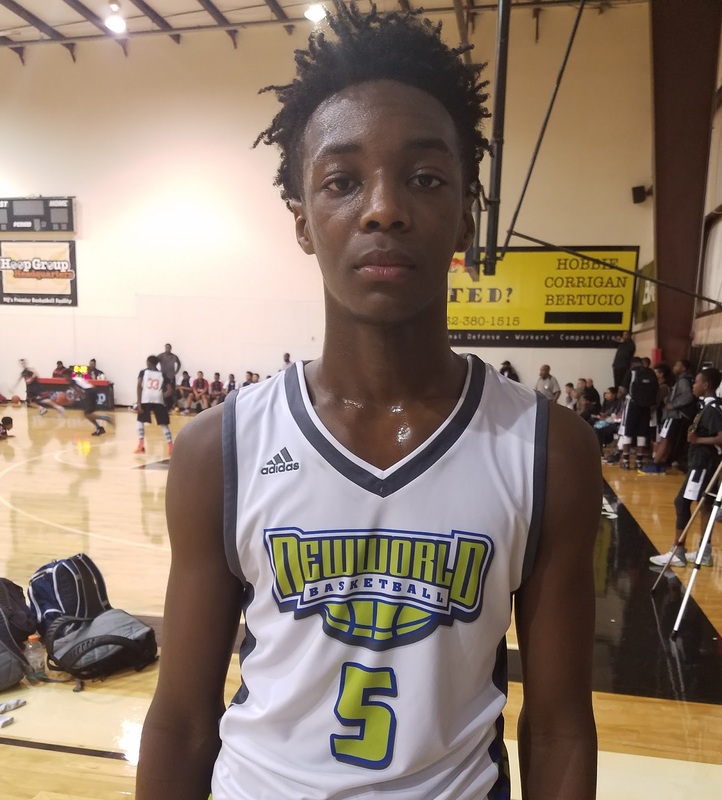 Clarke has to be in the conversation as a Top 5 player in the Class of 2021. He can score from all three levels with range well beyond the 3 point line and has above average ball handling and passing skills as he has the ability to play the point forward. Terrence lets the game come to him not forcing the action but thrives in transition using his athleticism to finish with dunks. He finished with 11 points against Team Rio, 16 points against Team Final, and 19 points against PSA Cardinals. This kid has all the tools. His play earned him a nickname Terrence "Total Package" Clarke. The NY Rens 4th won the Tip Classic and Kayden Mingo was huge part of the success. The Baby Baller showed off his point guard and play making skills. Legendary Coach Kat has had the privilege of coaching this kid for years is not surprised at his success during the Tip Off Classic. 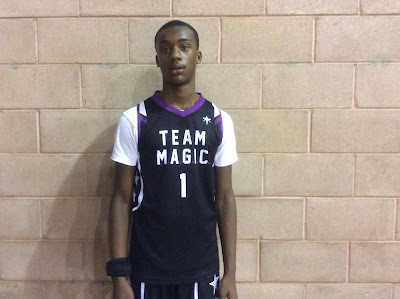 “Kayden Mingo was charted at the AAU Nationals as one of the Top 3 promising point guards. He’s a pass first guard that can also finish strong at the cup. He’s also very aggressive and effective on the defensive end" said Kat. Coach Kat also sees where there is room for improvement in Mingo. 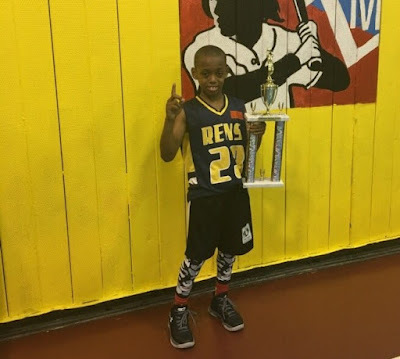 “Right now we are working on his outside shot because we understand that he needs this to climb the basketball ladder in years to come” he finished. Basketball Spotlight will be keeping an eye on Mingo and his progress. Stay tuned as we bring you more features, recaps and videos from the Tip Off Classic. Tip Off Classic Mixtapes: Trey Patterson Answers The Bell! Nations #1 Player Out Of New Jersey Trey Patterson made it look easy during pool play and the semi- finals during the 2016 Tip Off Classic. Trey Patterson is arguably the best prospect in the country going into high school due to his size, IQ, & overall potential and definitely lived up to a lot of his hype this past weekend. Here are a few highlights from day two of the tournament. In Part 2 of our 8th Top Performers at the Tip Off Classic we take a look at Team RIO National crew. 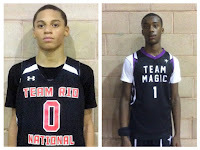 Here are the players that impressed us in Neptune, NJ. Trey Patterson Forward (Team Rio National) – At 6’8 and with a few more inches to grow Patterson is considered by many to be the top prospect in the 2021 class. In our eyes he projects to be a stretch 4 man and the scary part is that he still is only scratching the surface of his potential. You can tell he has been working as his jumper is looking smooth with range out to the 3 point line and he has above average ball handling skills. Trey dropped 22 points including three 3 pointers in their semifinal win against Expressions and 15 points against We R 1 in the quarterfinal. Every year the “Spotlight” boasts a competitive tournament series where teams set out to be the next team that tries to embark on an undefeated season. The series always starts in early December with the Tip Off Classic where many teams start their season and coaches are always curious how their teams will gel and perform. This year’s 8th Grade Orange division was packed with elite level teams and many already known national players. New World who is a newly sponsored Adidas Gauntlet team as of last year out of the DMV showed why they can be regarded as one of the nation’s elite teams as last weekend they went undefeated and brought home the championship banner at the “Spotlight” in Neptune, NJ beating many’s pre-season #1 team in the country Team Rio National by a score of 51-41. New World also beat the NY Rens and Team Final in pool play and then went on to beat the PSA Cardinals in the quarters and Milbank in the Semi. Let’s meet the Top Performers for New World. 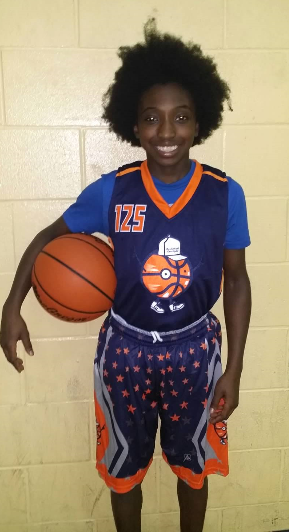 7th Grader Zion Cruz made his mark as the #1 Guard in the tri state area this past weekend at Bballspotlight Tip Off Classic 2016. Zion Cruz has a rare set of skills for his age being able to survey the court while scoring at will. Zion shows flashes of athleticism that earned him a nickname by his coaches and teammates, "Lil Westbrook". Zion shared the backcourt with Jayden Pierre as they both led their team to Champions earnings. 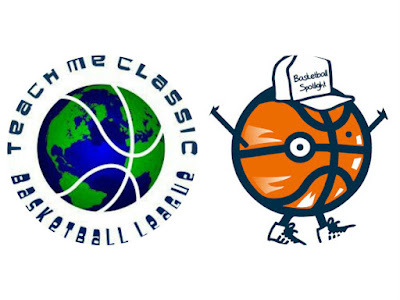 STAY TUNED for their dominant Tip Off Classic Mixtape and more footage from this event + more to come. Tip Off Classic Mixtapes: Matthew Constant Put In Work! Class Of 2021 Matthew Constant showed off his deep range at the 2016 Bballspotlight Tip Off Classic while helping his team reach the semi-finals versus Team RIO National. Matthew also showed flashes of his ELITE court vision and toughness all weekend long. Constant is defiantly a top 100 prospect in his 8th Grade class. Basketball Spotlight Tip Off Classic 5th Grade Championship Recap: Riverside Hawks Claim Tip Off Title! 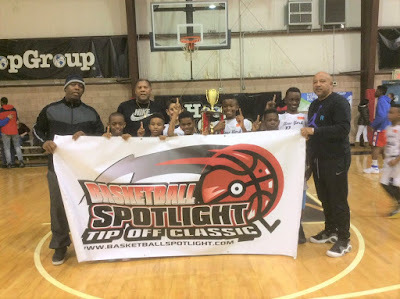 Riverside Hawks revenged a pool play loss to defeat Playtime Panthers 34-28 to win the Basketball Spotlight Tip Off Classic 5th Grade Championship. We would like to congratulate both teams for making it to the finals. Riverside’s head man Andrew Mungin we happy with his team’s success. “Our team is extremely excited to win the Tip Off Classic. It was a great event and we wanted to use it as a benchmark to see where we are as a team. I was very proud of the boys to come back and beat a team we lost to in pool play” he finished. Stay tuned as we bring you more recaps, videos and coverage from the Tip Off Classic. 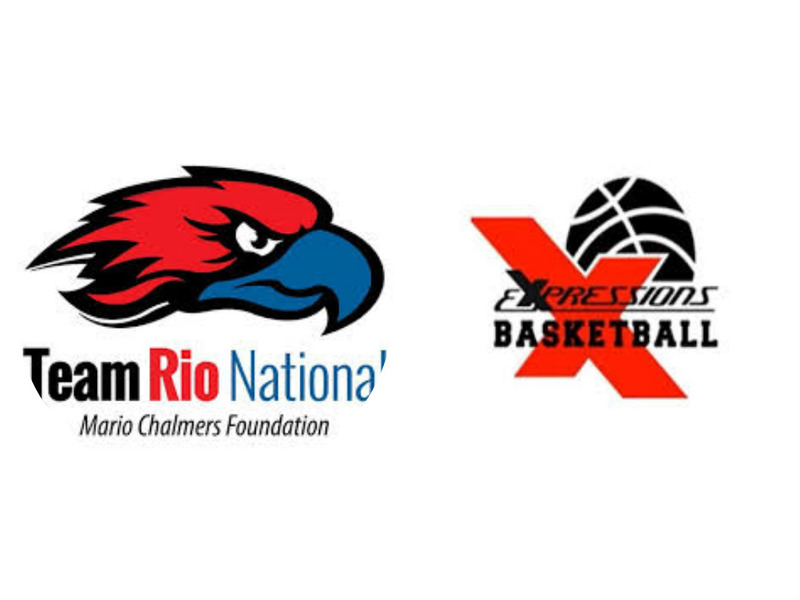 Tip Off Classic Highlights: Team RIO National vs Expressions! 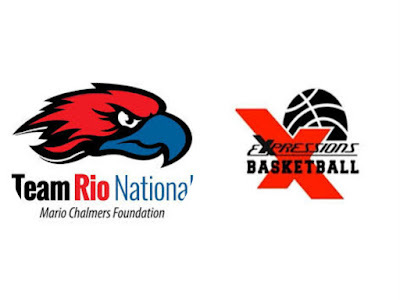 One of the most anticipated match ups of the weekend was Team RIO National versus Expressions Elite. This matchup featured some of the top ranked players in the country including #1 Trey Patterson, #7 Terrence Clarke, #16 Shane Dezonie and #24 Jayden Brown. Check out the highlights from this game and stay tuned as we bring you more highlights, and coverage from the Tip Off Classic. We are just getting started. 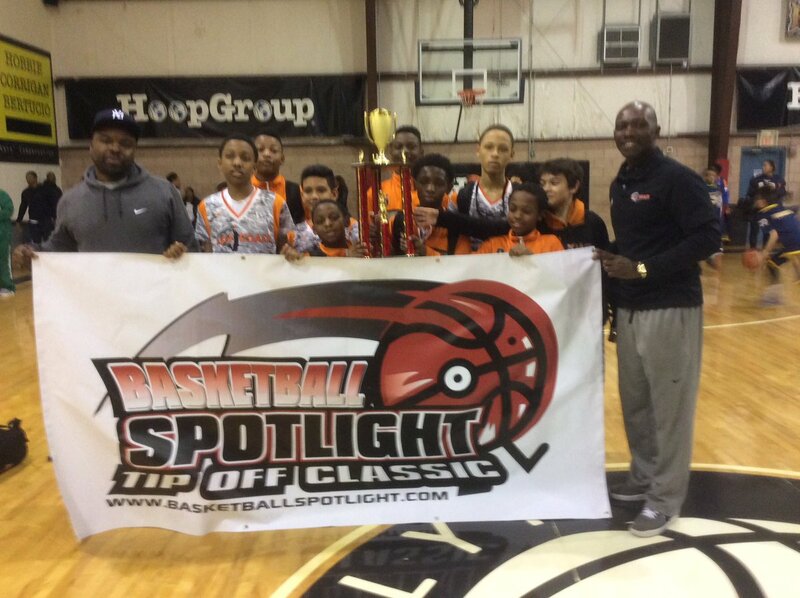 Basketball Spotlight Tip Off Classic 6th Grade Orange Division Championship Recap: Team IZOD Gets It Done! Sebastian Robinson scored a team high 18 points as Team IZOD defeated Courtmasters Elite 53-40 to win the Basketball Spotlight Tip Off Classic 6th Grade Orange Division Championship. We congratulate both teams for making it to the finals. We caught up with Team IZOD Director Brian Coleman after the game. “It felt good winning the Tip Off Classic. They played hard and played together. There is a lot of great talent in 6th Grade this weekend and I’m glad we were fortunate enough to come away with the championship” Coleman said.